Located deep in the heart of Lancashire’s Ribble Valley, The Spa at Stanley House offers peaceful views of the area’s undulating hills from every aspect. The décor is cosy yet contemporary and the welcome is warm. The well-designed and cared-for facilities include a hydrotherapy pool, steam room, sauna, salt steam room and tepidarium beds – the majority with beautiful viewpoints. Stanley House is the only spa in the North West to offer treatments from brands Natura Bissé and ila. "Loved this spa. It’s classy and a lot of attention to detail. The thermal suite is lovely, the staff polite, friendly and make you feel respected and pampered. The treatments were fabulous. I had a peace and relaxation massage - it was fantastic. It’s my favourite spa ever and I’ve been to a lot!!" "We have visited Stanley House Spa several times and each time we come away refreshed, reinvigorated and recharged. The staff are so friendly and they can't do enough to help. The grill restaurant never disappoints and the food never disappoints." 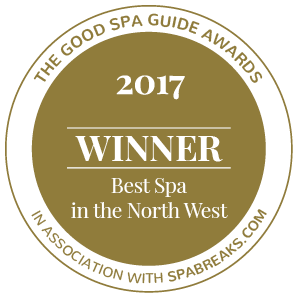 "It was my first time at this spa and I absolutely loved it My therapist roxy was lovely and very good at her job It was a lovely stress relieving experience and will I definitely be going again "
"This was our first spa weekend and we will certainly be coming back here. The staff were amazing along the treatments. The thermal rooms and hydro-pool were a great finish to the experience. 10/10 from us. " "Our visit was wonderful,from the welcoming staff,exquisite treatments,beautiful surroundings to the relaxing environment." A light spa menu is served in the Relaxation Room. Mr Fred's restaurant serves classic British food; Grill on the Hill offers a more formal dining experience. 30 bedrooms available: 12 bedrooms in The Manor House and 18 Woodlands Rooms. A suite, family rooms and a dedicated disabled accessible room with twin bathrooms are also available.